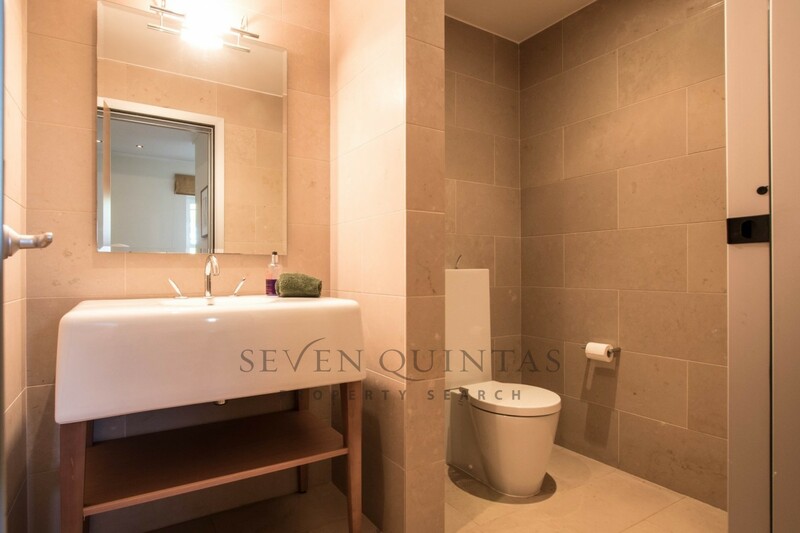 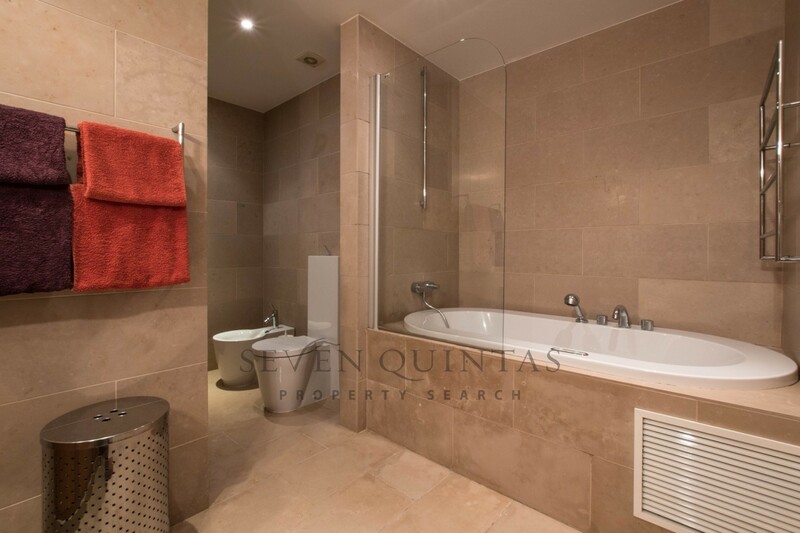 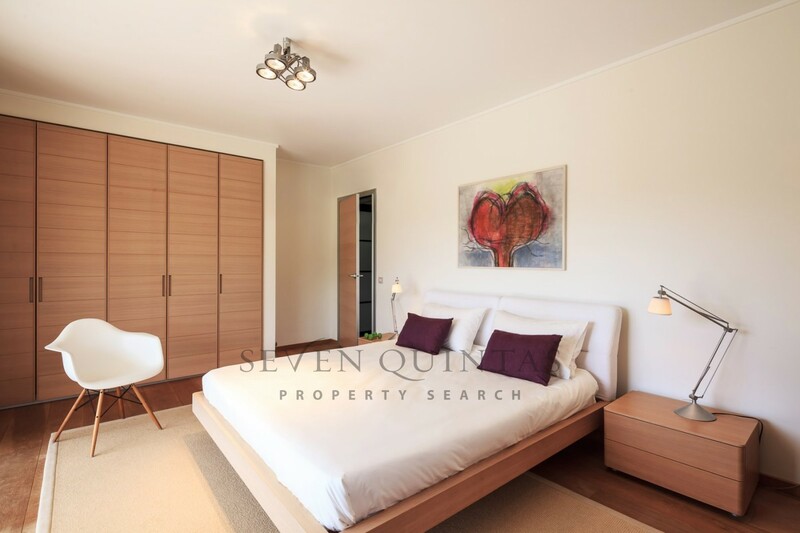 Contemporary design three bedroom villa Seven Quintas Lda. 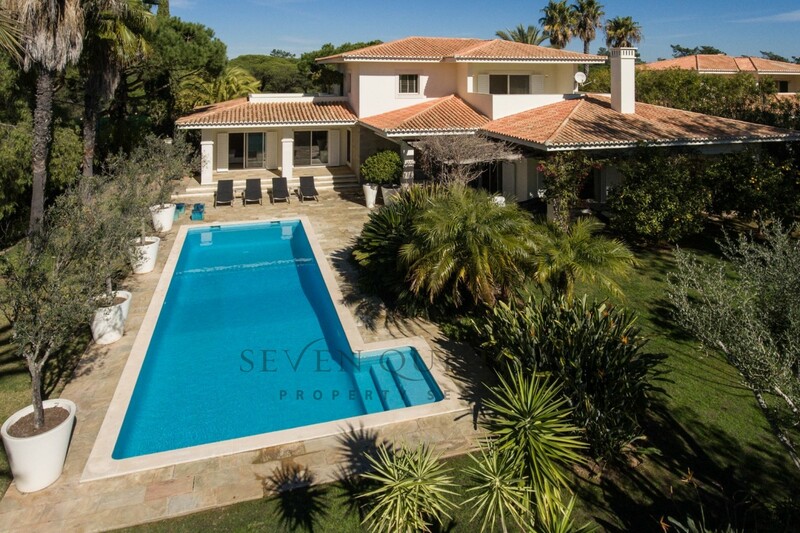 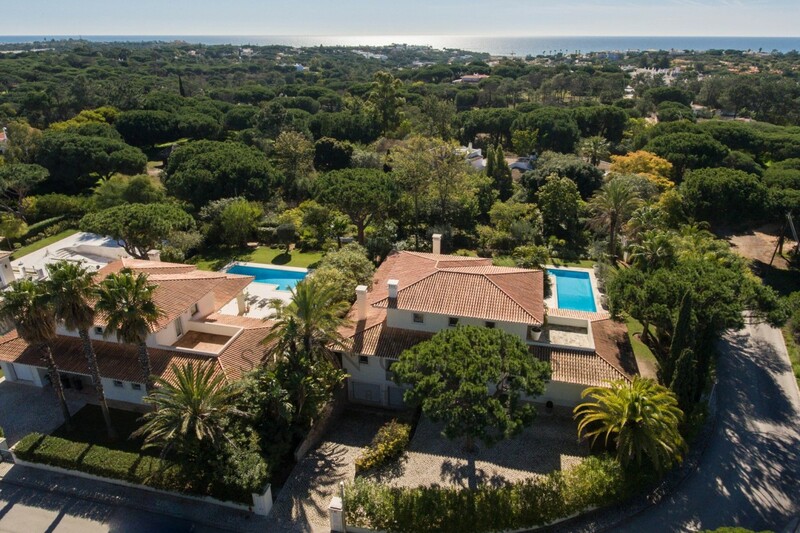 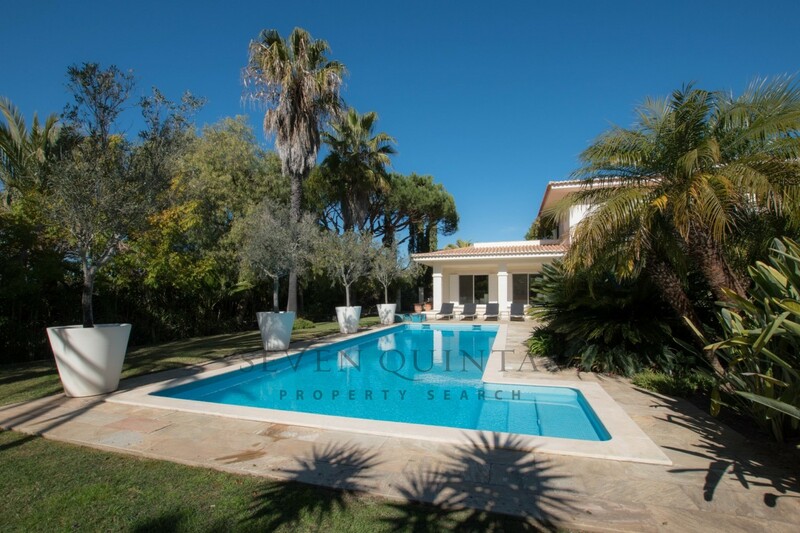 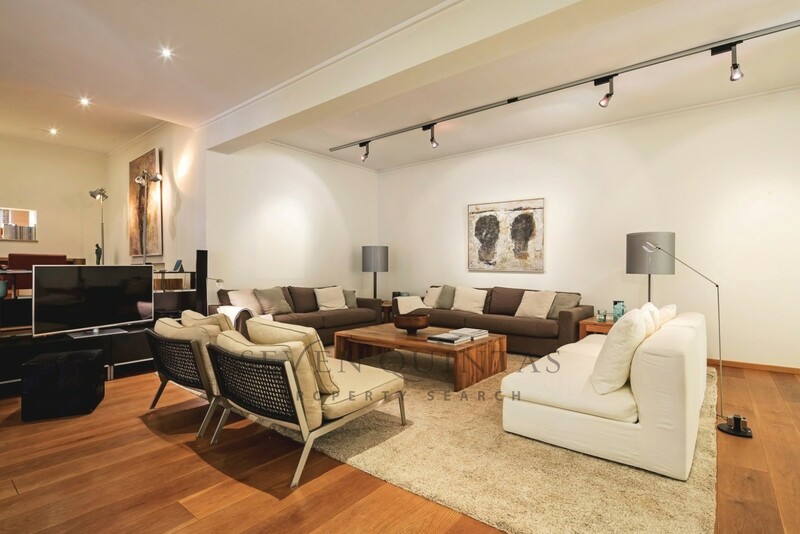 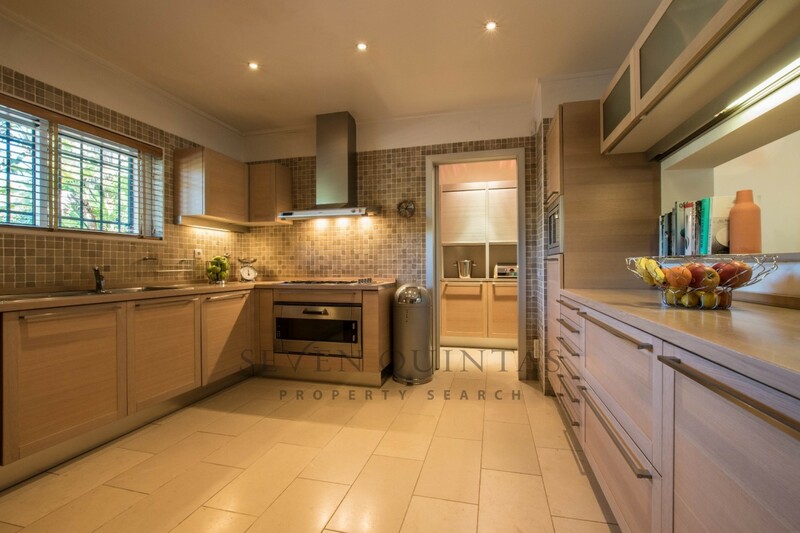 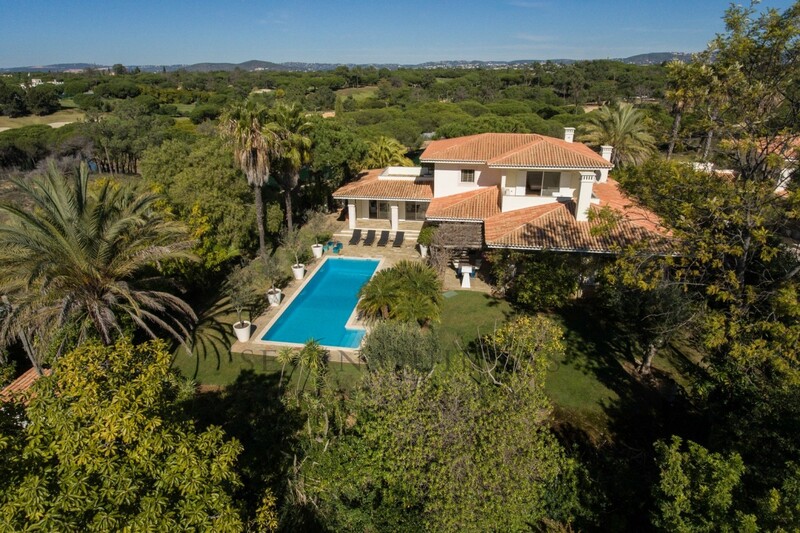 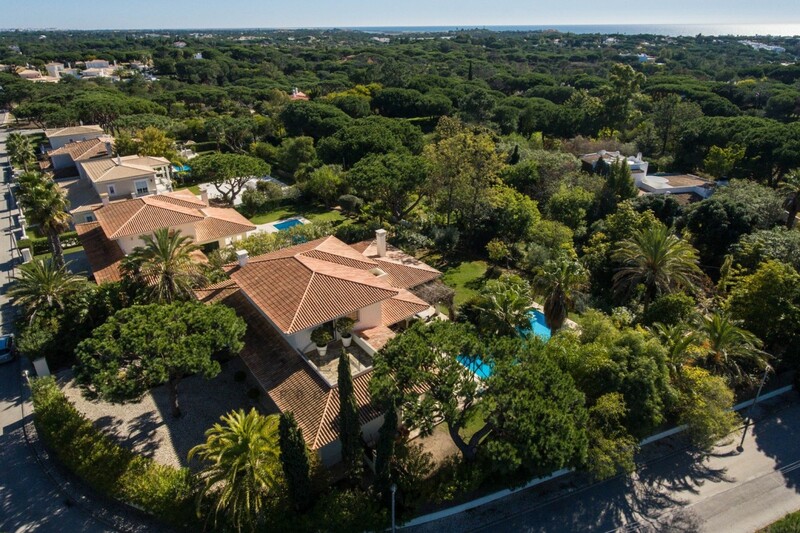 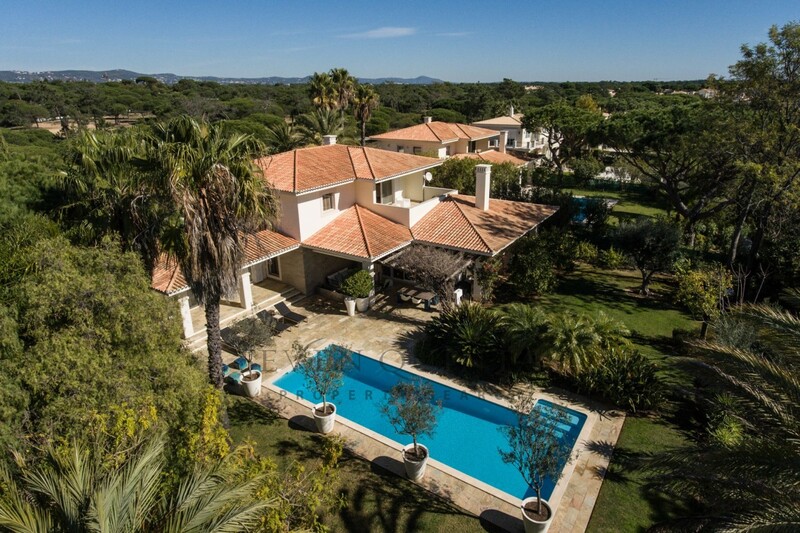 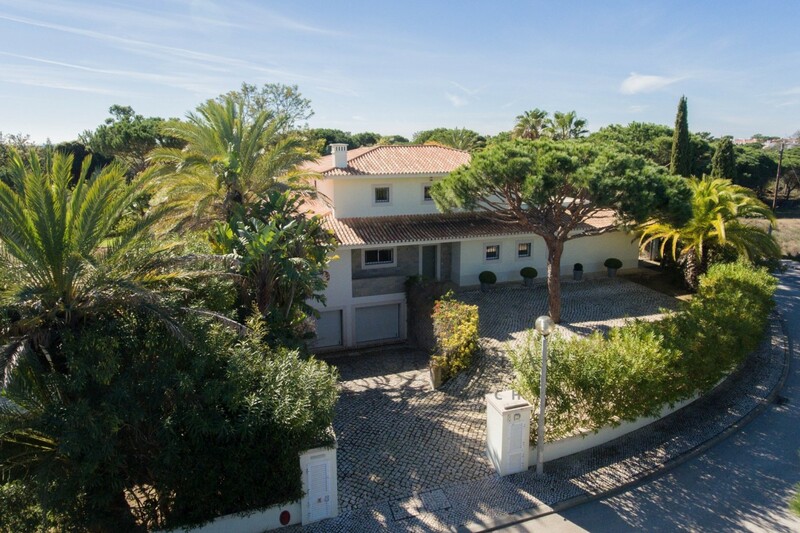 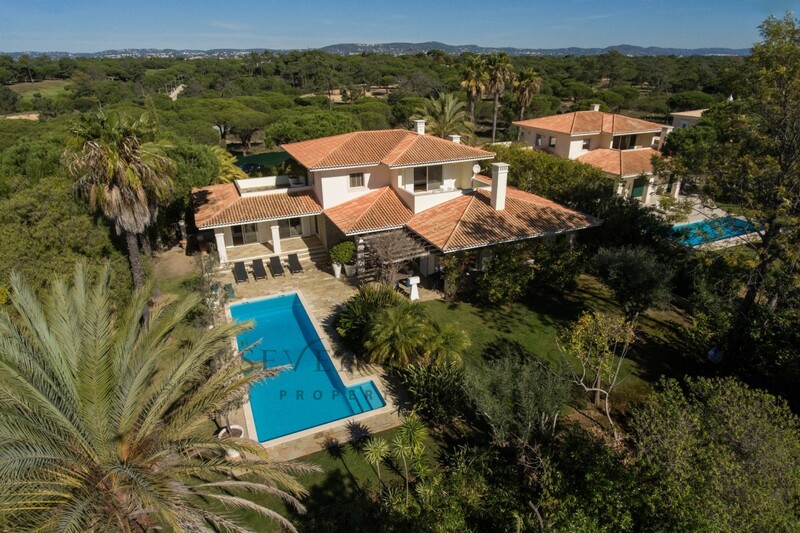 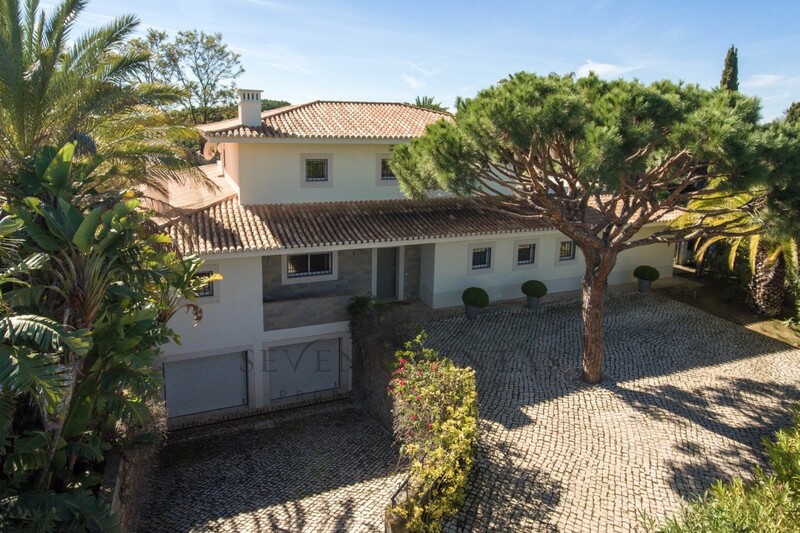 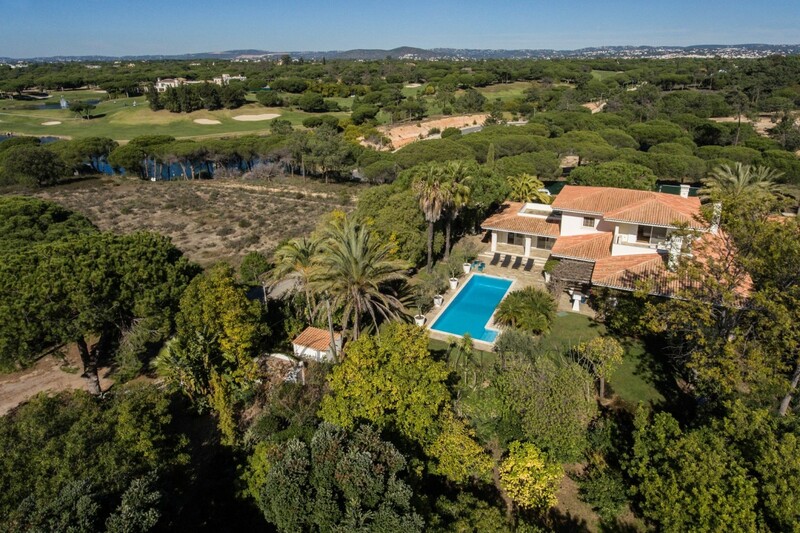 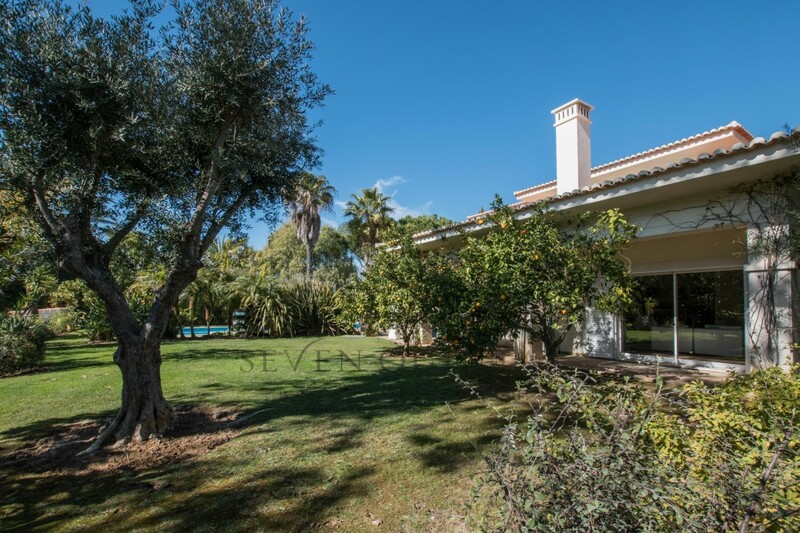 This beautiful home is located at the doorstep of Vale do Lobo in the heart of the Golden Triangle, at only a two minute walk from the Vale do Lobo Tennis Centre. 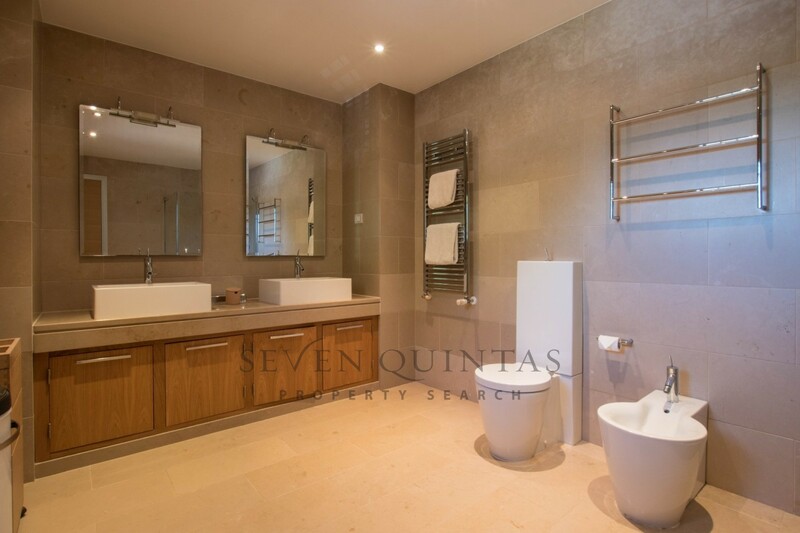 The house has been very well designed, built to specification and with much attention to detail by the present owner. 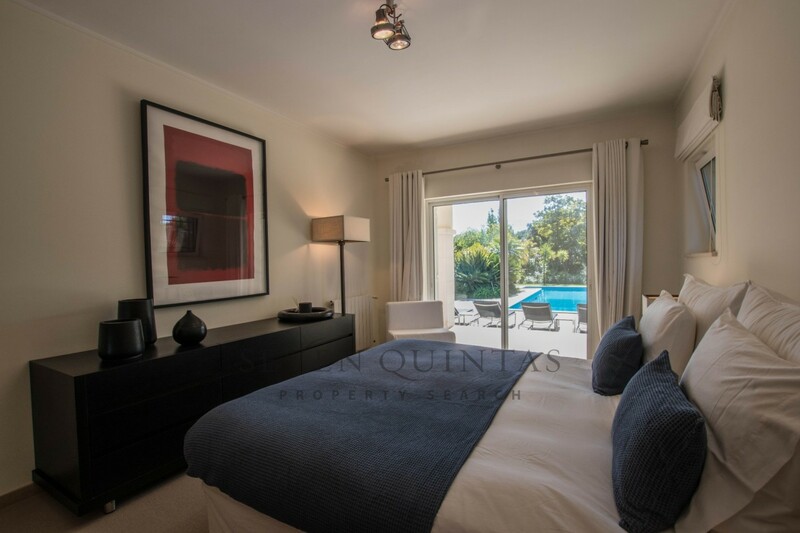 This complete property offers everything you need for comfortable permanent living. 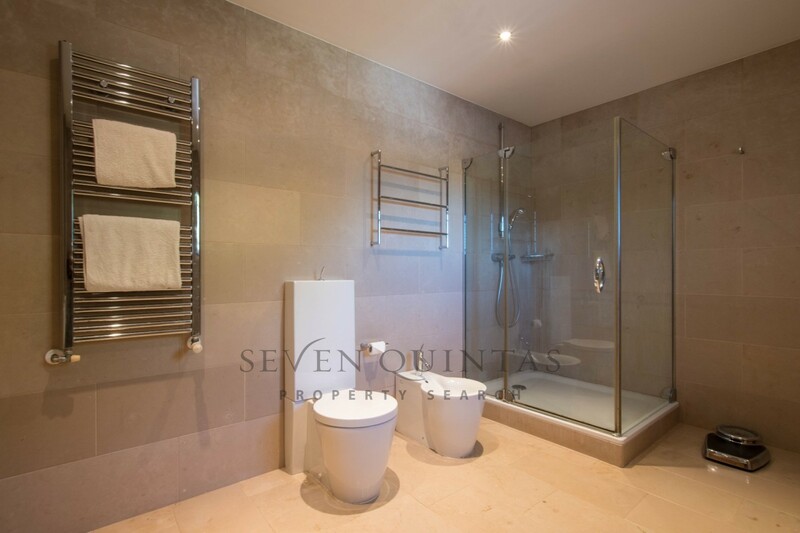 On the ground floor there is a hall with guest cloak room. 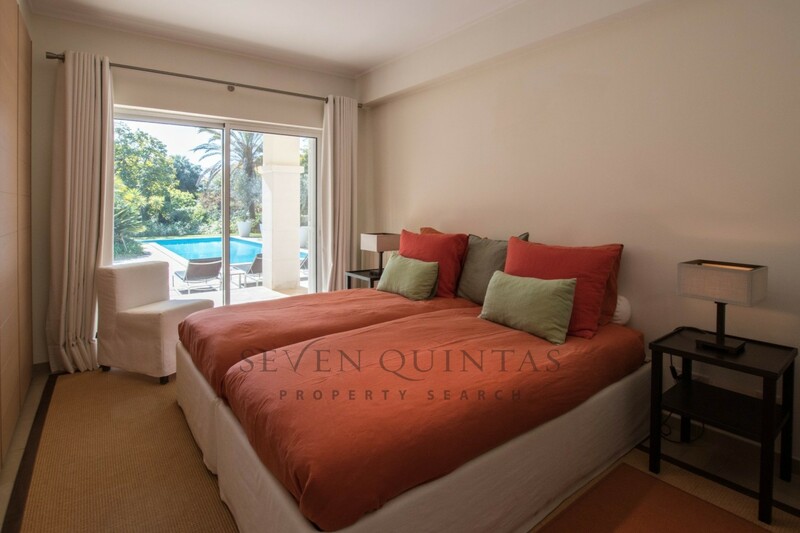 To the right there are two guest bedrooms, both with access to the pool area and a large bathroom, shared between the two bedrooms. 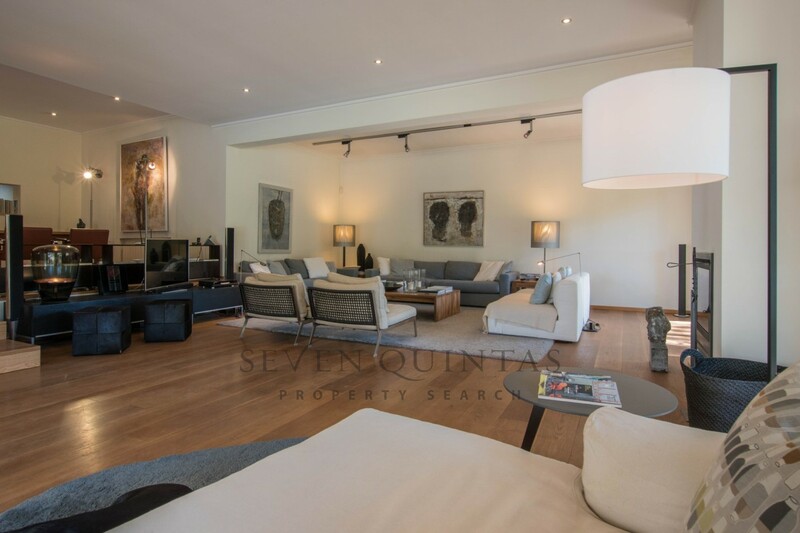 To the left there is the well-designed bespoke Poliform - Varenna kitchen, with a separate laundry room and access to the double garage and generous storage room in the basement. 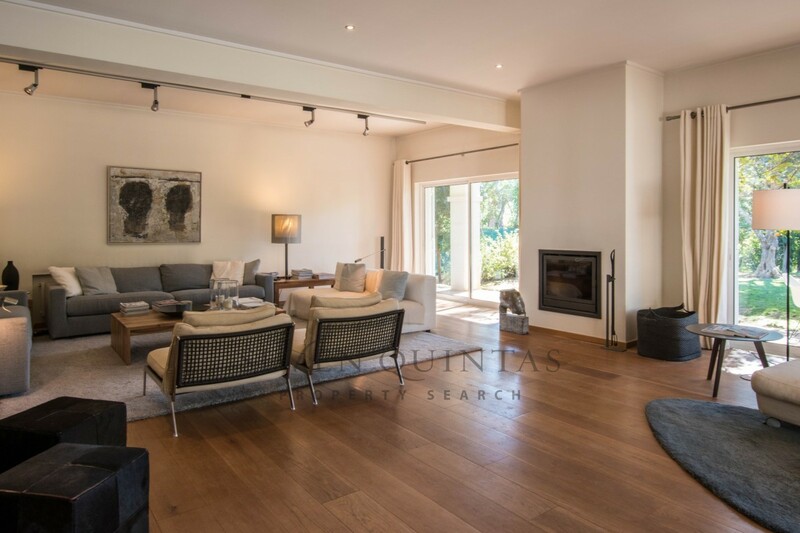 The spacious living/dining room is south/southwest facing and has large sliding doors opening onto the (partly covered) swimming pool terrace and lovely garden, partly laid to lawn. 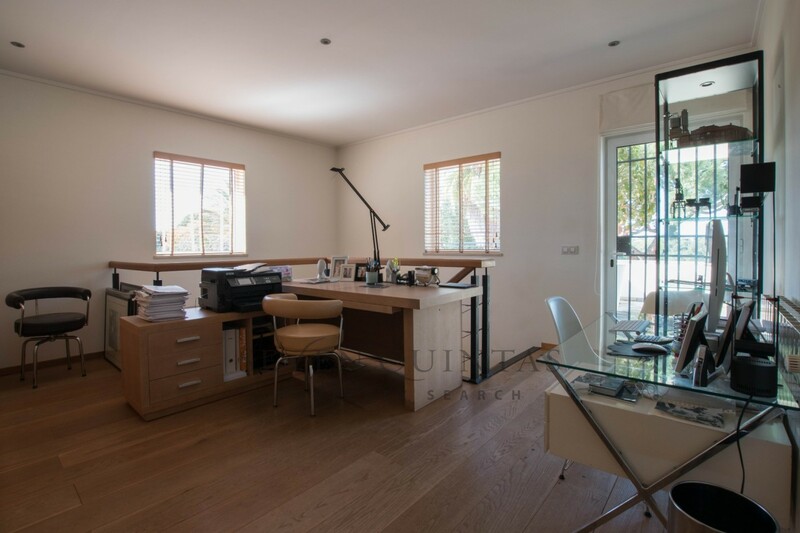 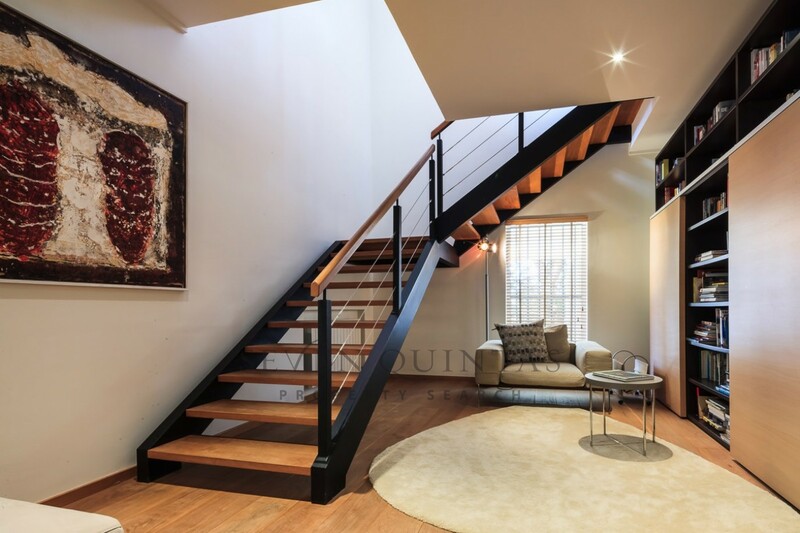 The wooden stair case leads up to the first floor where the spacious landing -currently in use as a study- leads to a generous master suite, composed of a double bedroom with terrace, a spacious bathroom and a large dressing area with Poliform wardrobes. 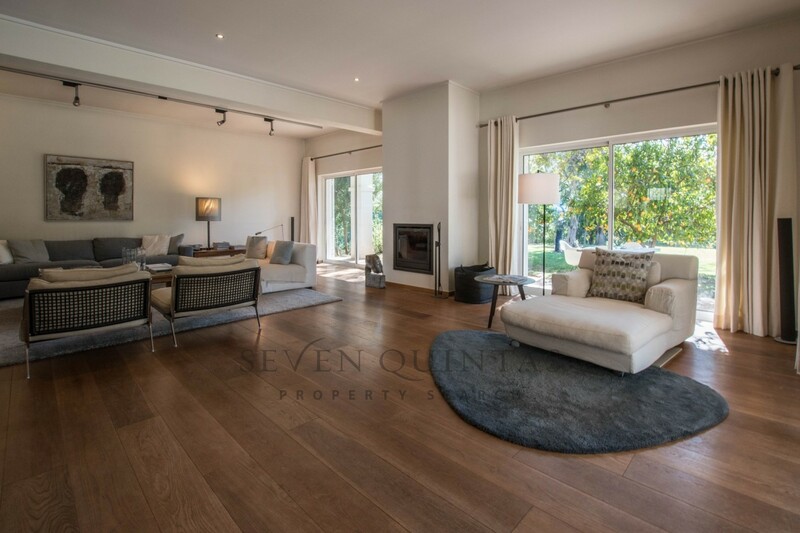 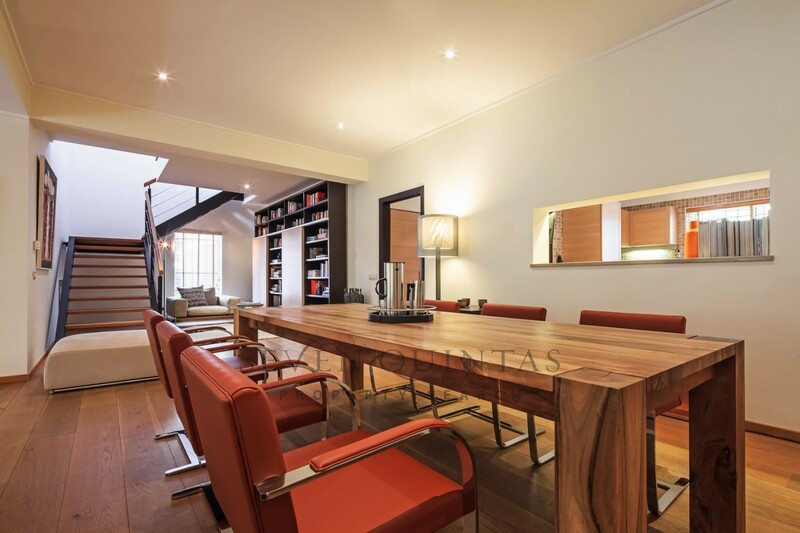 If needed a 4th bedroom can easily be added here, covering the full size of the second terrace, size approximately 5 x 5 m.
The living/dining room and the entire first floor -except the bathroom- has a solid wooden oak floor, all other floors are in natural stone. 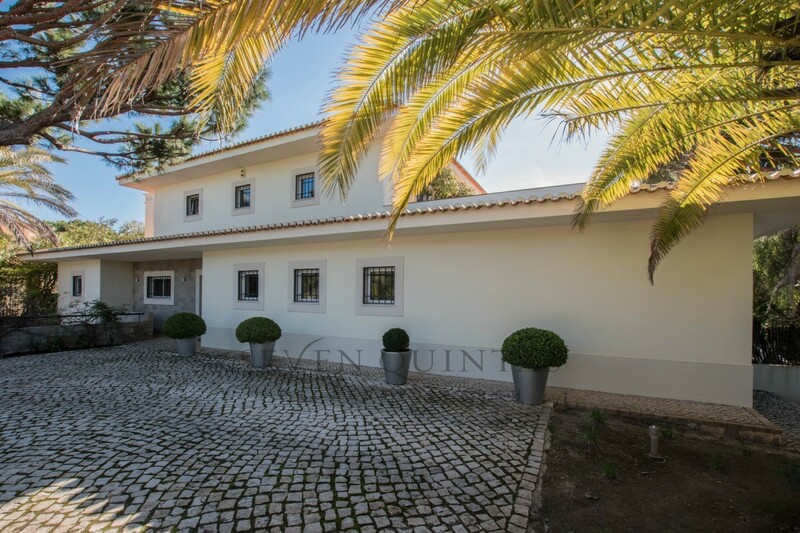 The entire villa has central heating with radiators, fuelled by gas. 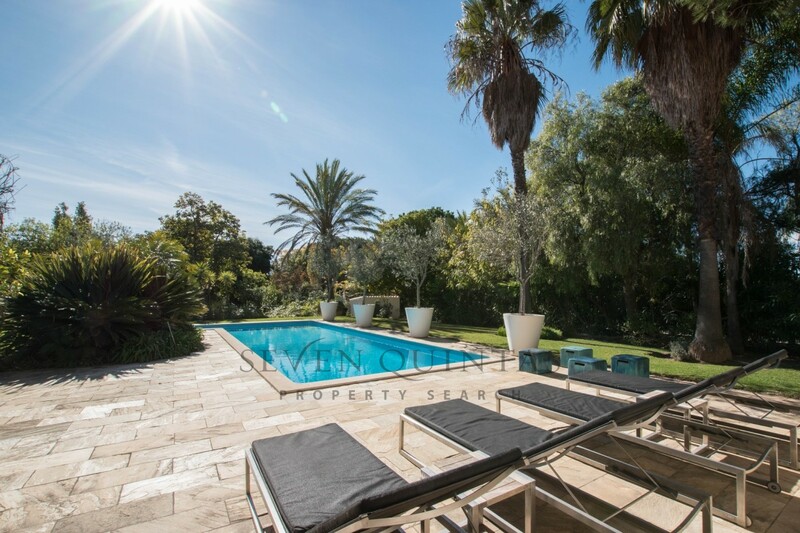 The 4x12m swimming pool is a salt water one and can also be heated. 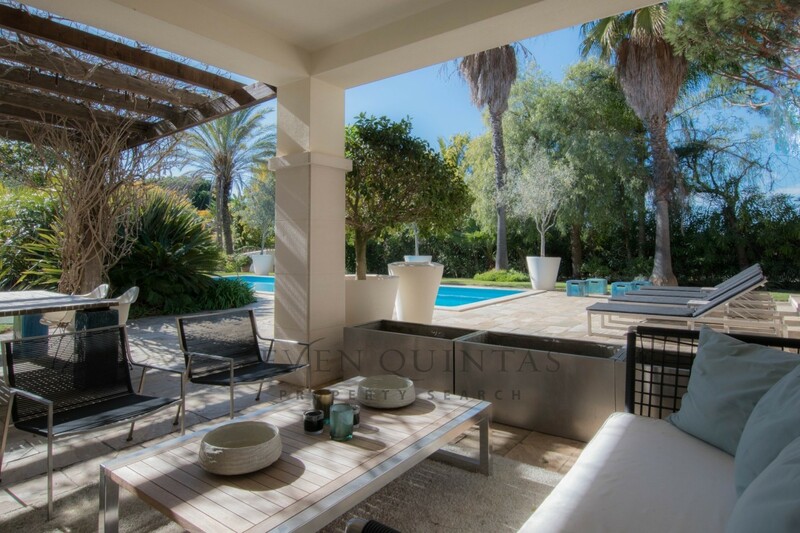 The mature garden is very private. 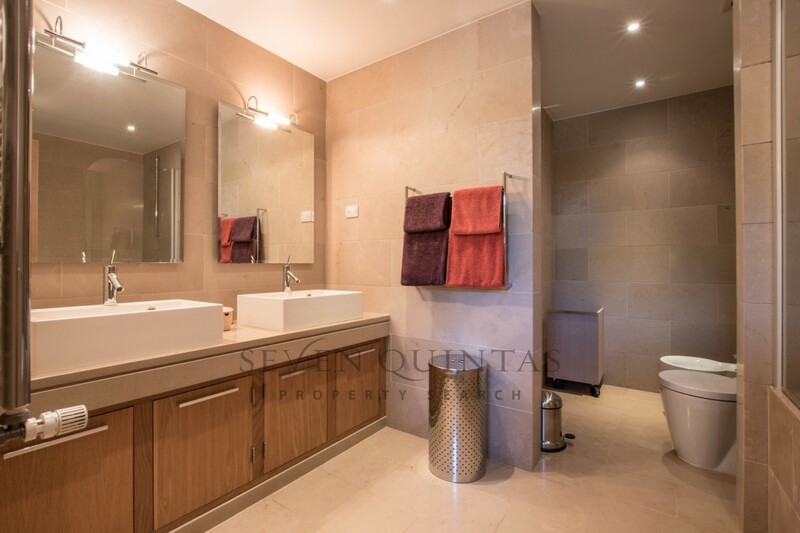 The finishing is of excellent quality and the villa comes fully furnished with bespoke design furniture & fittings, such as Poliform wardrobes, Rimadesio interior doors, the Poliform-Varenna kitchen & laundry, bathrooms with Agape wash basins and Duravit (Philip Starck design) toilets/bidets/bath tub/wash basins. 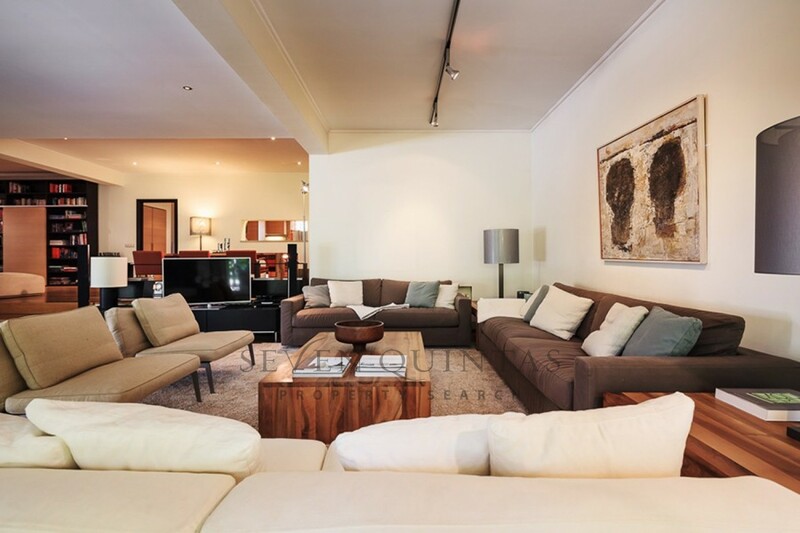 High quality design furniture from: Poliform, Linteloo, Flexform, E15, Riva, Lambert, Casamilano, Meridiani etc. 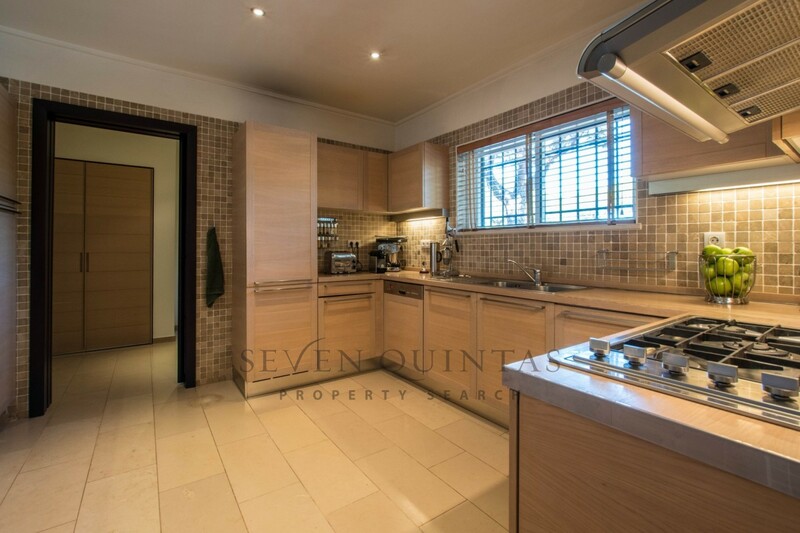 Very rarely we come across such a great property. 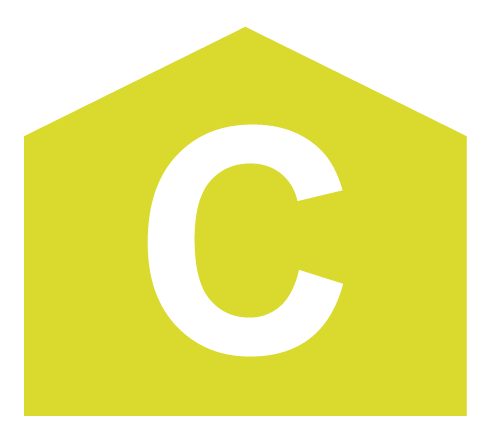 A true diamond!